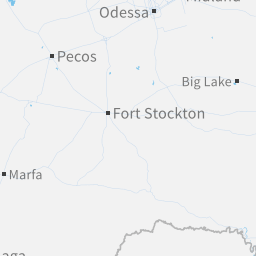 (CNN) One female student shot and wounded another before fatally shooting herself Thursday morning at western Texas’ Alpine High School, a sheriff said. The shooting happened about 9 a.m. at the school in Alpine, a community of about 6,500 people roughly 200 miles southeast of El Paso. The first shooting happened outside a restroom in the school’s band hall, Dodson said. A deputy happened to be at the back of the school when authorities were alerted to the shooting, Dodson said. The deputy entered the band building, found a student who’d been shot in a bathroom and recovered the gun, Dodson said. Video showed students evacuated from the building huddled together and hugging each other. Police officers patrolled the streets outside the school holding rifles and officers from other jurisdictions descended on Alpine in force. 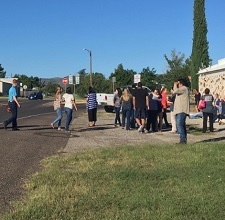 The Brewster County Sheriff’s Office initially said two shooters were believed to be on the loose, but Dodson said late Thursday morning that with the initial shooter dead, no others were being sought. Authorities also were trying to find a person who telephoned bomb threats after the shooting, Dodson said. CNN affiliate KWES said the wounded agent worked for Homeland Security. Information about the motive for the shooting and the names of those involved were not released. A junior at the school told CNN that students had just started the day’s second period when a teacher outside her class began yelling, “Get in the classroom!” “My teacher … yelled to everyone to get into the closet,” said the junior, whom CNN is not naming because she is a minor. 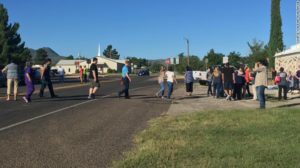 The school, which has about 280 students, initially was placed on lockdown, the school district said. But students were being evacuated by 9:40 a.m., the Alpine Avalanche newspaper said on its Facebook page. In a post reporting the evacuation, the Avalanche included an image of people gathering outside along a street. CNN’s Roxanne Garcia and Ralph Ellis contributed to this report.